Cycling at the Tokyo 2020 Olympics. What we know so far. On September 7 in Buenos Aires the International Olympic Committee announced that Tokyo will host the 2020 Summer Olympics. This decision left us here at Tokyo By Bike wondering "Where will the 2020 Olympic cycling events be held?" 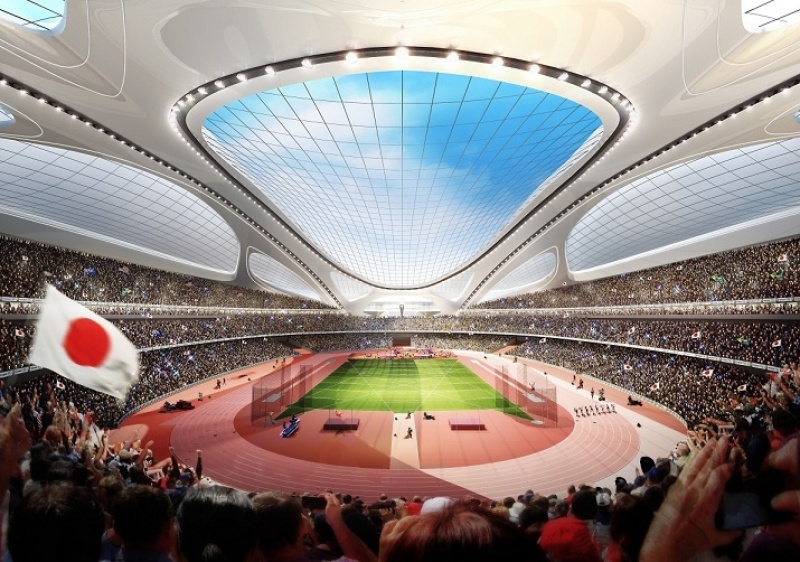 Tokyo successfully marketed itself as a safe, friendly and above all compact destination for the Olympics and proposed that the majority of events be held within just 8km of the yet to be constructed Olympic Village. Where will Tokyo, a city of 35 million inhabitants, find space for new Olympic class facilities, not to mention an Olympic Village? The answer lies on reclaimed land in Tokyo Bay, on islands which did not even exist when Tokyo last hosted the Olympic Games in 1964. Even though the games are still seven long years away we can share what we already know about cycling venues and facilities for the 2020 Olympics in Tokyo. At the 1964 Olympics the Olympic Road Cycling race was held in Hachijoji, Western Tokyo, quite far from central Tokyo. In 2020 the race will begin in the heart of Tokyo at the Imperial Palace Garden and as a result will draw a huge crowd of spectators. The race will wind its way around the historic moats, through tree lined streets and Tokyo's many park lands before heading west to finish line in the lush greenery of Musashino Forest Park. 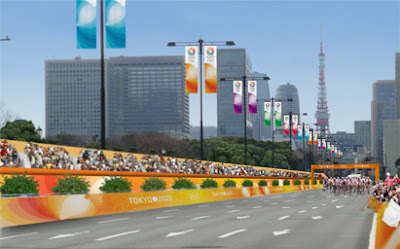 While details of the exact course are currently not known, given the short distance between the Imperial Palace and Musashino Forest Park we can safely assume that the race will consist of a number of laps around a circuit in central Tokyo before the cyclists head west to the finish line in Musashino. 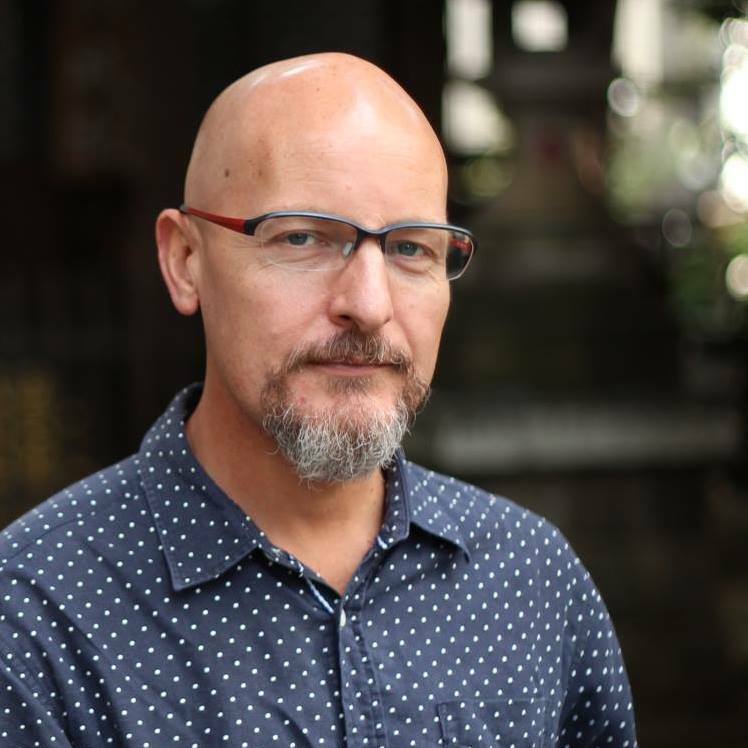 The course will most likely highlight Tokyo's many parks, and historic buildings breaking the myth that the city is nothing more than a concrete jungle. As with the Cycling Road race in 1964, Track cycling was also held in Hachijoji in a temporary velodrome built especially for the event. For the 2020 Olympics a velodrome will be constructed on a man made island in Tokyo Bay flanked by the Ariake Arena and the Olympic Gymnastic centre. The new velodrome will consist of a temporary wooden track and have seating for 5,000 spectators. After the Games the track will be disassembled and the wooden materials recycled. There is a slight, ever so slight, possibility that the track could be recycled as, well a track, but in a location outside the heart of Tokyo. Olympic Mountain Biking at the 2020 Olympics will take place on a purpose built course on an island of its own in the heart of Tokyo Bay. Organisers claim that the Sea Forest Mountain Bike Course is easily accessible, but as a relatively new island, not currently connected to the subway system, that claim is difficult to believe. Also, ironically, it is currently impossible to access this island by bicycle as the Tokyo Gate Bridge is closed to bicycle traffic. 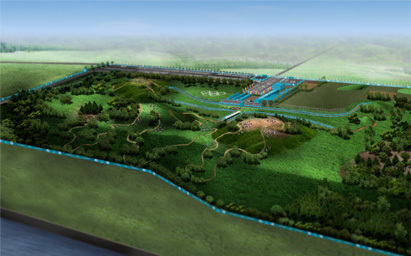 Olympic Equestrian events will be held on an almost identical island next to the mountain bike course, with the rowing course in between. Looking at the design of the islands and the channel in between you'd think they planned it that way all along! These islands promise to be forested and green for the Olympic events, providing contrast to the urban backdrop. The Olympic Mountain Biking course is unlikely to become permanent as it occupies prime realestate which will almost certainly be redeveloped at the end of the games. 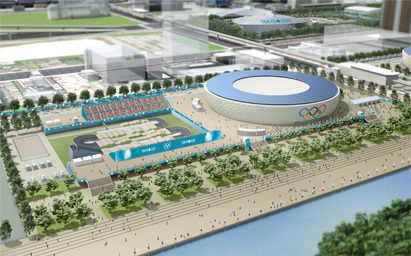 The Olympic BMX track will be constructed right next door to the Olympic Velodrome in Ariake in the centre of the Olympic facilities concentrated around Tokyo Bay. The site provides an interesting setting surrounded by trees and water despite being in the heart of one of the biggest cities of the world. Of all the cycling facilities the BMX track occupies the least space but given the fate of the velodrome track next door it is most likely this area will also be redeveloped after the games. It's only 1/3 cycling, but that's OK with us. 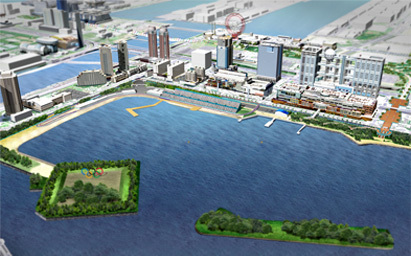 While we know Odaiba Marine Park will host the swimming leg of the triathlon there is still no concrete information about the cycling course, nor the running leg. We'll keep you posted as new information is revealed. The Games present Tokyo with a welcome opportunity to convert the islands of Tokyo Bay into an area of lush forest parks, housing world class sporting and recreation facilities, which would be a wonderful reward for the citizens of Tokyo, millions of whom will be working hard and making sacrifices to ensure the 2020 Olympic Games are an outstanding success. Unfortunately due to space constraints it seems that many of the facilities, in particular the cycling facilities will be redeveloped once the games have ended. One would hope that the Tokyo Metropolitan Government will make the BMX and mountain biking courses available to the public, at least for a limited time after the games so that cycling enthusiasts can experience the thrill of cycling the Olympic courses before they're swallowed up by the city. In addition to the facilities themselves, large scale redevelopment of areas of the city gives the Tokyo Metropolitan Government the perfect chance to improve cycling infrastructure within the city. Olympic bids constantly highlight efficient transport, and are marketed as environmentally friendly, therefore we look forward to bicycle sharing stations at all the major sporting venues and a network of protected cycle lanes between each venue and the Olympic village. That's not too much to ask is it? 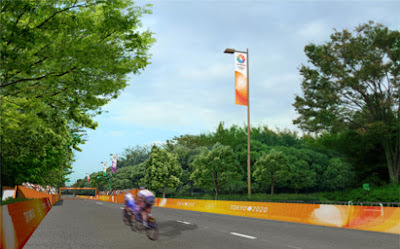 While the 2020 Tokyo Olympics are still far in the future please do continue to visit Tokyo By Bike for Olympic Cycling updates, and of course we'll be keeping an eye on developments around the city to see if they have a positive impact on cycling in Tokyo, or the opposite. That 'redevelopment'... What's Tokyo's economic and demographic future? Better than the rest of the country, but still I smell boondoggle. That's not even with addressing most of it on sea-level landfill in a seismic and tsunami zone and if the Hamamatsu reactor goes Fukushima, Tokyo's in the fallout zone. And oh, swim in Tokyo Bay? The equivalent of my entire country, Canada, $#!+s into it. And August weather? A lot of speculation in that comment. What if there is an earthquake? A tsunami? Another reactor meltdown. About the only thing we know for certain is that swimming in Tokyo Bay is likely to kill you! FYI, the Sea Forest mountain bike course will remain, sorta. It is part of the Sea Forest (Umi no Mori), which will encompass the equestrian and canoe/kayak portions of the games. While the course may not be kept, the forest will be kept from what I understand.